Physical characteristics: The lesser rhea is 36 to 39 inches (92 to 100 centimeters) in height and weighs 33 to 55 pounds (15 to 25 kilograms). Geographic range: Lesser rheas are found in Argentina, Bolivia, Chile, and Peru. Habitat: Lesser rheas live in the grassy, open high plains of South America. Diet: Lesser rheas are omnivores, meaning they eat both plants and flesh. They primarily eat grasses, plants, leaves, roots, fruit, and seeds along with insects, lizards and small mammals. They drink little water and get most of the liquid they need from plants. They also swallow pebbles to aid with digestion. Behavior and reproduction: Lesser rheas are social creatures that usually live in herds of five to thirty individuals. In the spring and summer breeding season, males become territorial by selecting an area of land as their territory and defending it against other males. Females also leave the larger group to congregate in smaller flocks. The flightless birds are fast runners, capable of reaching speeds of up to 37 miles (60 kilometers) per hour. They are also strong swimmers, capable of crossing rivers. They have excellent eyesight and hearing. They often graze with smaller herbivores and are able to detect predators, animals that hunt them for food, from a long distance, thus alerting the other grazing animals to the danger. Lesser rheas are polygamous, meaning they have more than one mate during the breeding season. During the spring and summer, the male lesser rhea builds a nest in which between two and fifteen females lay their eggs. Nests contain ten to sixty eggs. The male incubates the eggs by sitting on them for thirty-five to forty days in order to keep them warm, so that they may later hatch. After the eggs hatch, the male cares for the chicks for a few days. He then leads the chicks away from the nest but they stay in contact through a series of whistles. Lesser rheas and people: Lesser rheas are hunted in the wild by humans for their meat, skin, and feathers. They are raised commercially on farms in the United States and Canada for their meat. They are viewed with mixed feelings by farmers and ranchers. Farmers consider them agricultural pests because they will eat almost any crop. Cattle ranchers consider them beneficial because they often graze with sheep and eat grasses that have sharp burrs that become entangled in sheep's wool. Davies, S. J. J. F., et al. Bird Families of the World. Vol. 8, Ratites and Tinamous: Tinamidae, Rheidae, Dromaiidae, Casuariidae, Apterygidae, Struthionidae. Oxford, U.K.: Oxford University Press, 2002. Elwood, Ann, and John B. Wexo. Ostriches, Emus, Rheas, Kiwis, and Cassowaries (Zoo Books). Mankato, MN: Creative Education, 2000. Bouzat, Juan L. "The Population Genetic Structure of the Greater Rhea (Rhea americana) in an Agricultural Landscape." Biological Conservation. (June 2001): 277-284. Codenotti, Thais L., and Fernando Alvarez. "Mating Behavior of the Male Greater Rhea." Wilson Bulletin (March 2001): 85. Fernánzez, Gustavo J., and Myriam E. Mermoz. "Group Copulation Solicitation Display Among Female Greater Rheas." Wilson Bulletin (December 2003): 467-470. Fernánzez, Gustavo J., et al. "Effect of Group Size on Individual and Collective Vigilance in Greater Rheas." Ethology (May 2003): 413-425. Navarro, Joaquín L., et al. 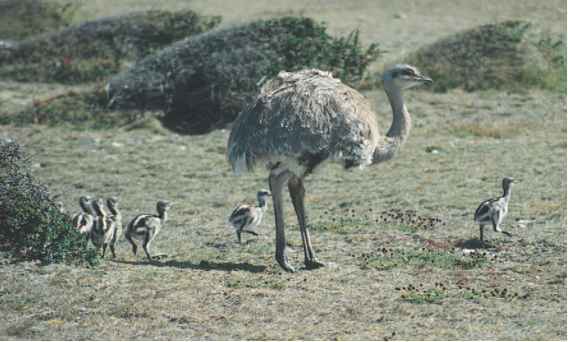 "Fertility of Greater Rhea Orphan Eggs: Conservation and Management Implications." Journal of Field Ornithology. (January 1998): 117-120. Zannini, Marie, and Greg Zannini. "Another Look at Rheas." Countryside & Small Stock Journal (January-February 1995): 28-30. Cholewiak, Danielle. "Family Rheidae." Animal Diversity Web. 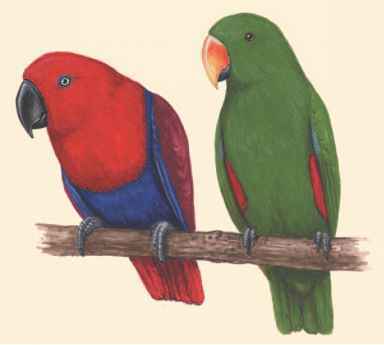 http:// animaldiversity.ummz.umich.edu/site/accounts/information/Rheidae. html (accessed on July 13, 2004). Ivory, Alicia. "Rhea pennata." Animal Diversity Web. http://animaldiver-sity.ummz.umich.edu/site/accounts/information/Rhea_pennata.html (accessed on July 13, 2004).